« Q. How can I get out of washing my paint roller and brush each time I use them? 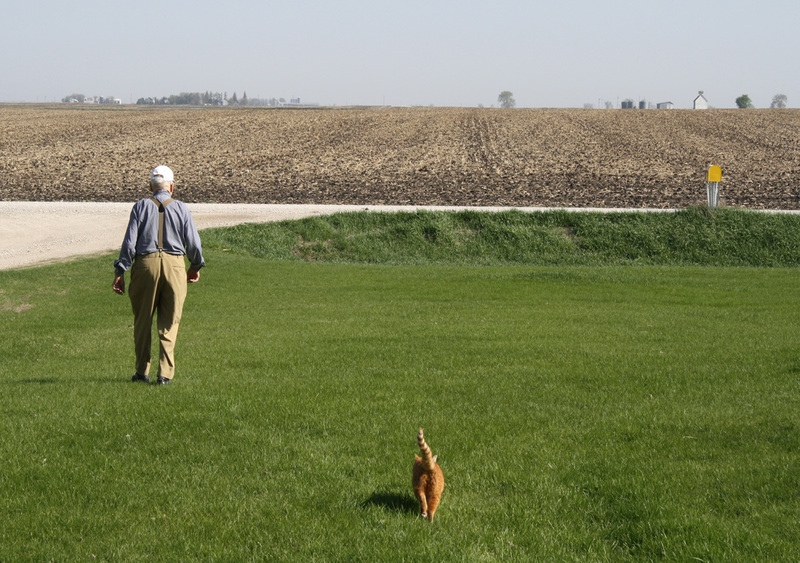 For the past two or three years, until Daddy (Deane Gunderson) passed away on July 1st, 2010, Mouser had been Daddy’s adopted cat. Bill and I are fortunate (right, Bill???!) to now have Mouser living with us…and Sammy and Miss Kitty. 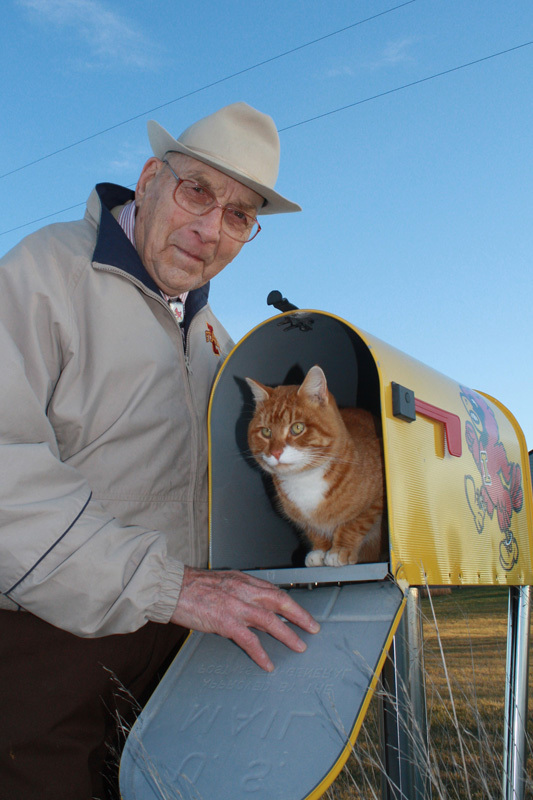 Until Daddy fell on May 4th of this year, Mouser and Daddy would, together, make a trip to and from the mailbox…every day. More about Mouser is in this post. Another photo of Daddy and Mouser is in this post. The last three photos don’t do justice to Daddy’s engineering and by-example teaching, intellect, humor, and generosity. 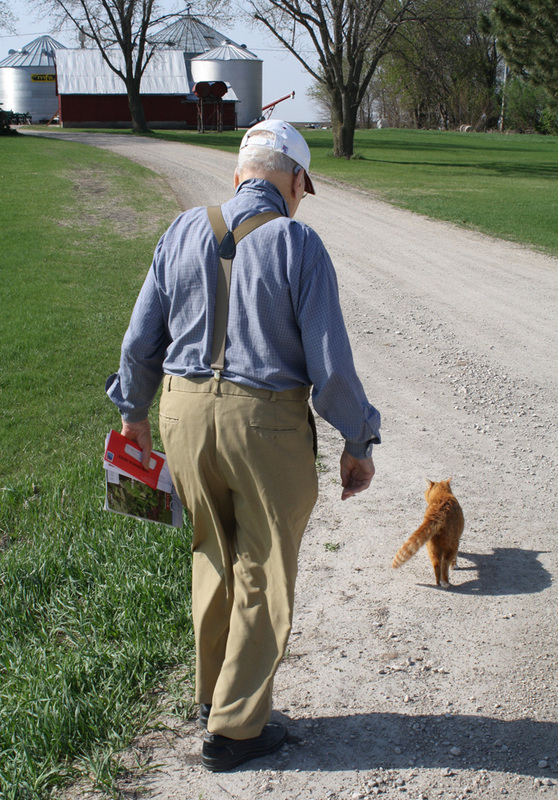 But, they are what they are; they illustrate companionship and the bond between Mouser and Daddy. For the next week or so, and maybe frequently until mid-November, the posts might be more fluff oriented than informational. I’ve got to get more house painting done, I want to play some, and I’ve got to get organized for the November (11th, 13th, and 14th) open house. This entry was posted on October 7, 2010 at 10:54 pm and is filed under Deane Gunderson. You can follow any responses to this entry through the RSS 2.0 feed. You can skip to the end and leave a response. Pinging is currently not allowed. I love the pictures. Actually, they bring a few tears to my eyes. I wonder if Mouser ever got tangled up in Daddy’s feet? It seems that every time Mouser and I would walk together, he was suddenly in front of my feet without my being aware of his location and I’d almost trip or step on his tail. 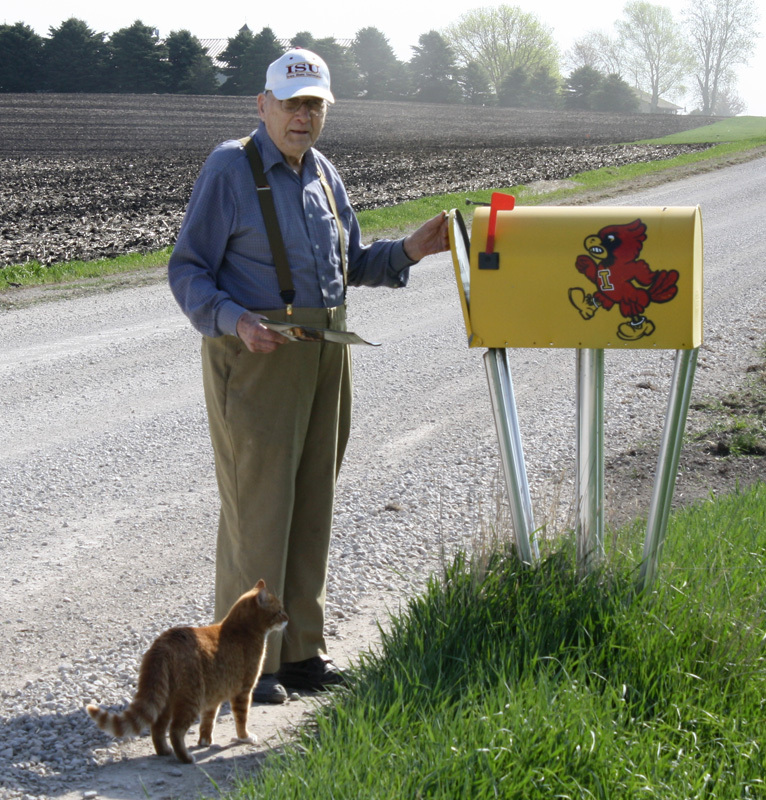 The pictures make me think of all the years I walked to the mailbox, too. I have such fun memories of my visit to Gunderland and meeting your dad!! Clara: They bring tears to my eyes, too…the tears that Daddy always told us not to have when he was gone. What a guy, always thinking of others. I, too, wondered if Mouser ever got tangled in Daddy’s feet. Kathy: It makes me smile when you wrote of your fun memories at Gunderland and meeting Daddy. I think for two reasons…because I’m glad you enjoyed that day, as I did, too. And, because your comment is so positive and fun and rubs off on me as far as relishing fond memories. Lump in throat; mist in eyes…. These are so charming. And yes the photos do illustrate the bond they have.